Do you know what to do in the event of a nuclear plant emergency? While it’s important to be familiar with printed and online emergency planning information, in the unlikely event of an emergency at one of our nuclear plants, there are multiple ways neighbors would be informed about what to do. 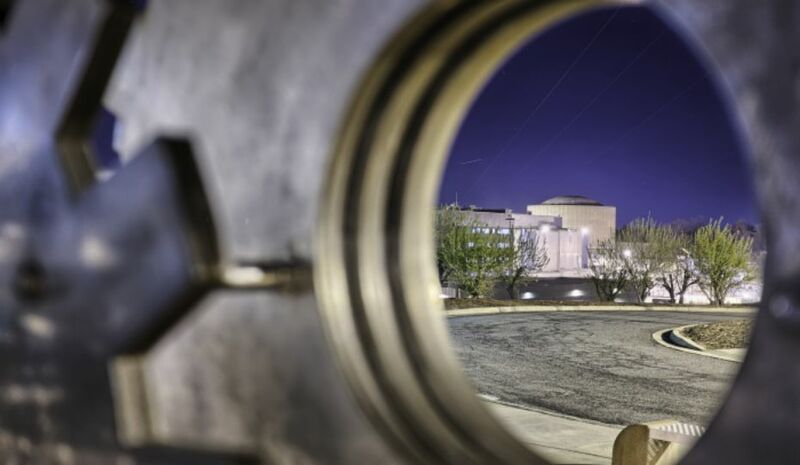 Historically, local and state emergency management officials would provide instructions via local radio and TV stations and may go door-to-door to talk with neighbors. In today’s tech-savvy world, however, new mobile-friendly webpages and apps make it even easier to access emergency planning information. Just like our nuclear workers are always prepared for the unexpected, we want our plant neighbors to be prepared. With more and more people turning to websites and social media for information, it makes sense that emergency preparedness updates should be there too. 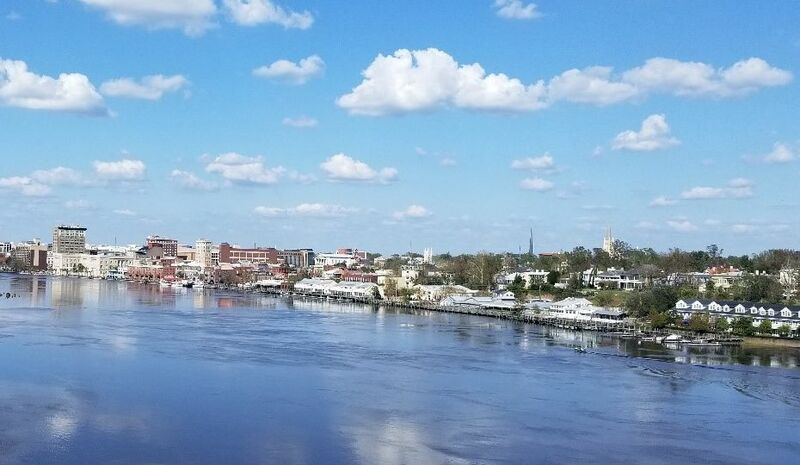 Plant neighbors including residents, businesses, schools and others can now find information specific to their location on our enhanced, interactive webpage, duke-energy.com/NuclearEP. 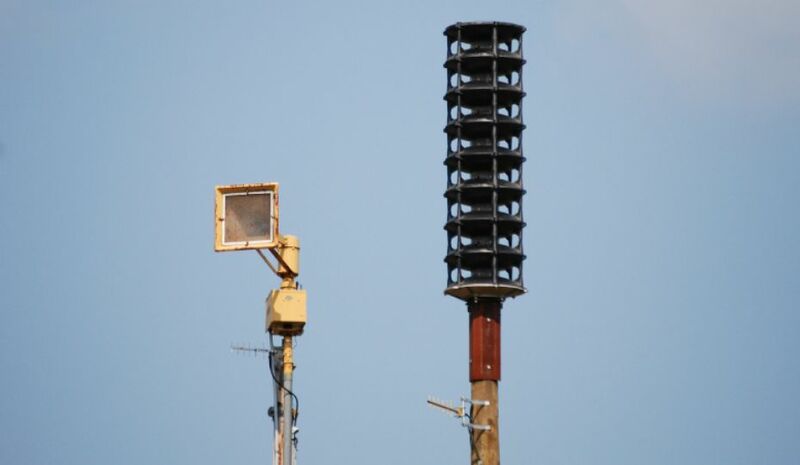 On the page you’ll find information specific to each Duke Energy nuclear facility including emergency siren test dates. 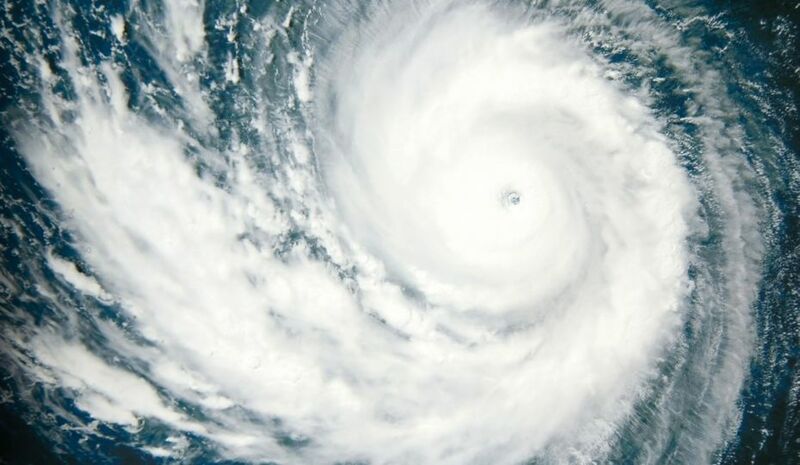 You can also search for information based on your address such as which emergency planning zone you live or work in, recommended evacuation routes and emergency shelter locations. You can even add the webpage to your phone’s home screen to easily find emergency planning information with the touch of a button. 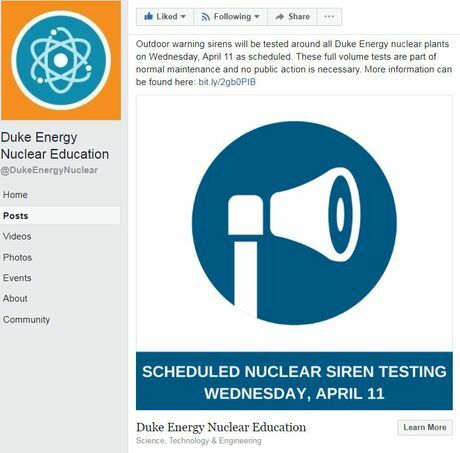 In addition to the website, plant neighbors can follow Duke Energy’s nuclear fleet on Twitter – @DE_Nuclear – and Facebook – @DukeEnergyNuclear – for real-time emergency planning updates. Our state partners also have mobile-friendly tools to keep neighbors informed including Twitter alerts and emergency alerts from the South Carolina Emergency Management Division and an emergency planning app from N.C. Department of Public Safety and North Carolina Emergency Management. We want all of our customers and plant neighbors to be able to rely on online tools but realize not everyone can or wants to consume information this way. And, sometimes, it’s just easier to see information in print, especially during an emergency. Because printed materials remain important to some neighbors, we’re committed to providing them. This year, however, that information will look a little different. 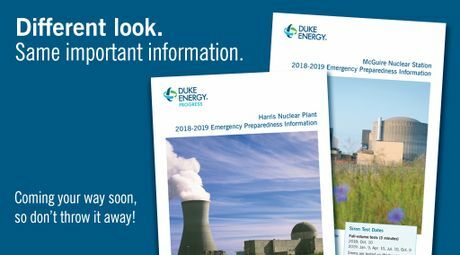 Duke Energy’s nuclear fleet distributes printed emergency planning information to those living and working within 10 miles of each of our nuclear plants in accordance with federal regulations and industry guidelines. This has historically taken the form of calendars and brochures. We are streamlining our emergency preparedness guides, which are typically distributed to schools and transient populations, and emergency planning calendars, which are typically distributed to residents, into one, easy-to-save booklet. This allows us to provide essential information to communities while minimizing confusion over products and their times of distribution. The information contained in these booklets is important and we want to make sure everyone is focused on the material. Even if you prefer to use the new webpage to find emergency planning information specific to your location – and we recommend you do – keep your booklet on hand as a backup source of information. No matter how you prefer to find information – on the web, social media or in print – there’s an easy way to access the nuclear emergency information planning information you need.